More cases of credit card thieves using “skimming” devices to steal unsuspecting customers’ credit card information are popping up across the country, not just at gas stations, but also ATMs and even restaurants. When a credit card is run through a skimmer, the small device stores the cardholder’s data. Once the credit information is obtained, the thief can then sell the information or clone the credit card. 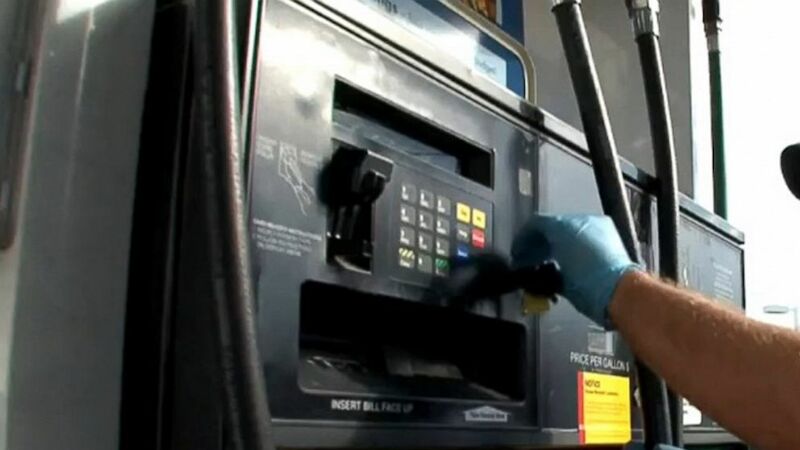 Authorities say thieves have installed skimmers inside credit card slots on gas pumps and in fake card slots placed on ATMs. Recently, an employee at a McDonald’s in Boca Raton, Florida, was caught on camera swiping customers’ cards through a handheld skimmer. Richard Norris never thought much about his morning ritual of stopping by the McDonald's for a sweet iced tea, until he noticed mysterious charges popping up on all three of his credit cards. Knowing that McDonald's was the only place he had used all three cards, Norris turned his credit card receipts, showing dates and times of the purchases, over to police, who then checked the franchise location’s surveillance footage. Sure enough, the footage showed the drive-thru window attendant swiping Norris’ card twice, first to charge for the iced tea, and again through the skimmer, kept out of sight from drivers. Police say Norris was just one of up to 70 customers who were skimmed during the attendant’s shifts. “I was lucky, the money was, you know, it was found early on," Norris said. "In other people’s situations, they might not be so lucky. They might have more money taken from them, and it might be their car payment, their mortgage payment, whatever." Norris said it wasn’t just the fraudulent charges that got to him, but also the deception. "He actually made it a point to [say], 'How are you doing, good afternoon, good morning,' whatever the case might be, seemed to always be smiling," Norris said. "He seemed like one of the nicer guys... he actually did his job. So for him to be on the back end doing something like he was, it was definitely, I don’t know, disheartening." The McDonald’s employee ended up pleading guilty to fraud charges and was sentenced to two years’ probation. The Boca Raton McDonald's did not immediately respond to ABC News' request for comment. But authorities say this sort of brazen theft appears to be common. Detective Jeffrey Marshall of the Nassau County Police Department in New York said three different businesses within a two minute drive from the station had cases of employees skimming cards. Electronic skimmers are so advanced that they don’t even need a human to operate. Marshall said there was a case where a thief installed a skimmer inside a fake card slot and placed it over the real one on an ATM inside a convenience store. The thief also installed a tiny camera to capture unsuspecting customers’ pin numbers so he could withdrawal cash. The U.S. Secret Service, which investigates skimming fraud cases across the country, gets help from local police departments, gas station owners and guys like Dan DeFelippi, a reformed credit card hacker. His favorite target, he said, were gas pumps. Authorities say there are ways for customers to protect themselves from skimming fraud. Marshall advised checking your credit card statements regularly. Under the Fair Credit Billing Act, once you report loss or theft, you have no additional responsibility for charges you didn't make. Second, if you’re at a gas station, choose a pump near the convenience store part of the station, close to the attendants. Experts say skimmers prefer to target pumps in the shadows. Finally, there is always the option of paying in cash.